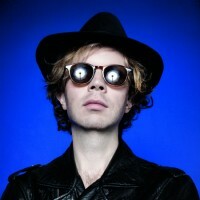 Beck’s newest release, Morning Phase, is due out in a couple of weeks (Feb. 25), but in an interview a few months ago, the musician revealed that he was actually working on two records. Few details have been released about this project, but according to an interview with Billboard, Pharrell is involved in some aspect. Other high-profile collaborators will also be included in the project. You can listen to “Blue Moon” from Morning Phase below.